If I could sum up Attachment Parenting, kangaroo care, breastfeeding, cosleeping, and just plain motherly love in one picture... it would be this one. 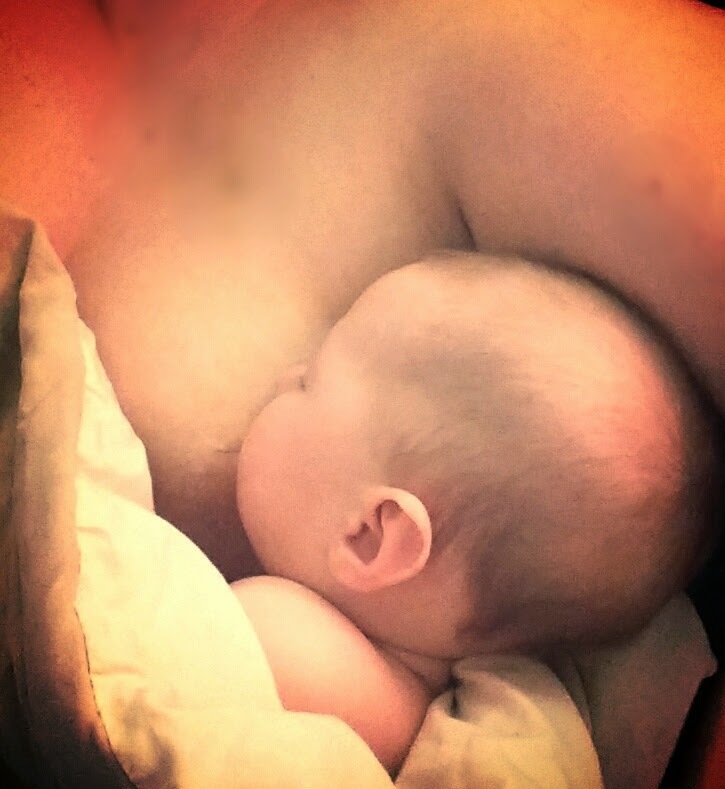 At almost 8 months, River is still going strong with breastfeeding. Last night her teething was causing her pain so we laid skin to skin and nursed. I snapped a simple pic that so perfectly captured that moment. My sweet girl nursing sleepily. So beautiful.